Age appropriateness: The History Channel's "Modern Marvels: The Telephone" is not officially rated in the United States. It is safe for all ages. The video's content is most appropriate for students in grades seven on up. Accuracy: This documentary is accurate, focusing on the history of the telephone's development, up to the latest features and technologies available today. 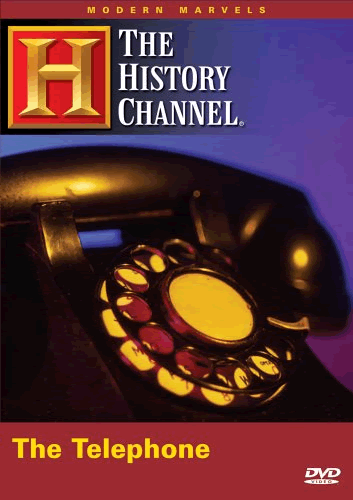 Review: The History Channel's "Modern Marvels: The Telephone" is a fun, interesting documentary to share with junior and senior high school history students as the course approaches the modern era and current technology. Rather than a dry, chronological history, "The Telephone" splices between history and what is happening with phone technology today. Students will learn about everything from wiretapping, to satellites, to fiber optics, to monopolies, and more. Perhaps most importantly, "The Telephone" is fascinating for teenagers because it is "history they know." That is, teens have seen phones develop within their lifetimes. They have seen old-fashioned landline receivers at the homes of older family members. They may own the latest smart phone, or dream about getting one. It is also easy for educators to get into the act, since so many of us have older phones sitting in our closets or garages. Why not bring that old rotary phone to school? Have a Motorola "Brick" from the 80s? Bring it to school--your students are guaranteed to be riveted. Review and discussion questions: (1) What company operates the largest telephone network? (2) Describe the route taken by a typical landline telephone call. (3) What is a cellular system? (4) How have mobile phones changed since the 1980s? (5) What does ReCellular do? (6) Who was the first person to talk on a cell phone, and when? (7) Who was Antonio Meucci? (8) Describe the controversy over Bell's telephone patent. (9) The acronym AT&T stands for what? (10) Who was the first U.S. president to have a telephone installed in the White House? (11) What problems do cell phones pose for 911 services? (12) How did "phone freakers" illegally place free long-distance calls? (13) What is subvocal technology? (14) Would you want to have a telephone implanted in your body? Why or why not? (15) What do you imagine that telephones will look like in ten years? in twenty years? in thirty years?